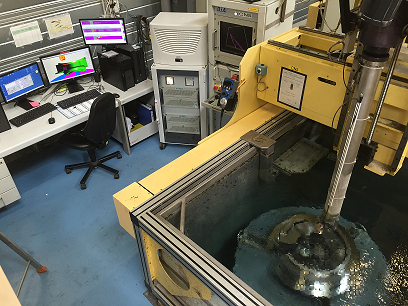 Our partner BIA (France) has developed an application to inspect multiple sequential zones of a turbine shaft by using the multi-focus spay in 1 shot, thanks to our FAAST Phased Array Technology. 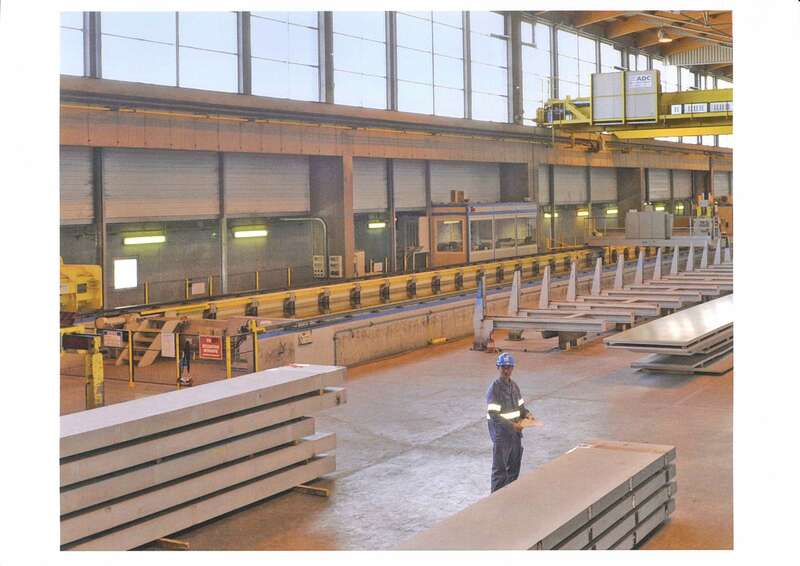 Our partner Constellium (Germany) has developed a system for Aluminium plates with a UT inspection. In this reference, we are looking for the detection of Flat bottom holes(FBH) from 3mm below the surface to 162mm. The FBH size are 1.2mm diameter(Ø). The system has been developed for an on-line brass bar inspection with the detection of internal flaws. 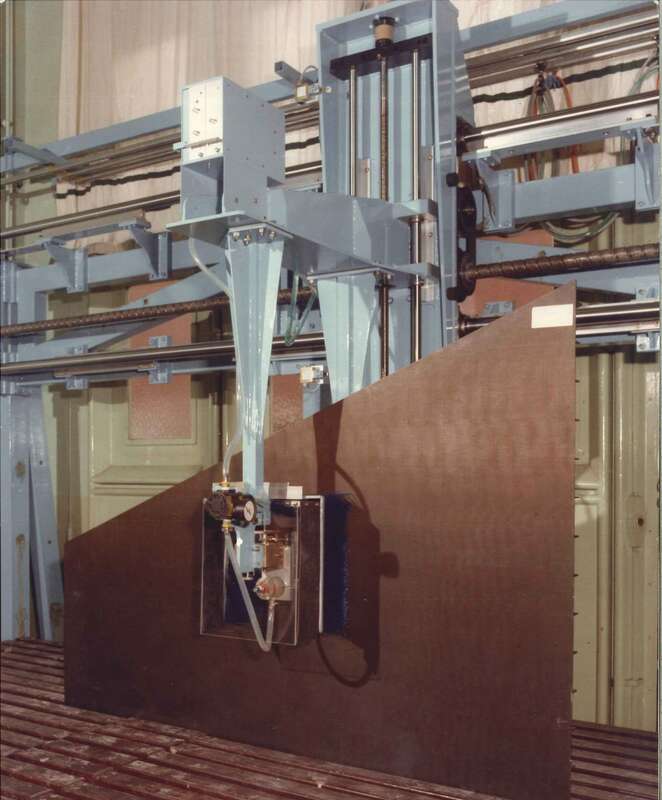 Water jet with squirters mounted on gantry scanning UT system for large composite structures in production. 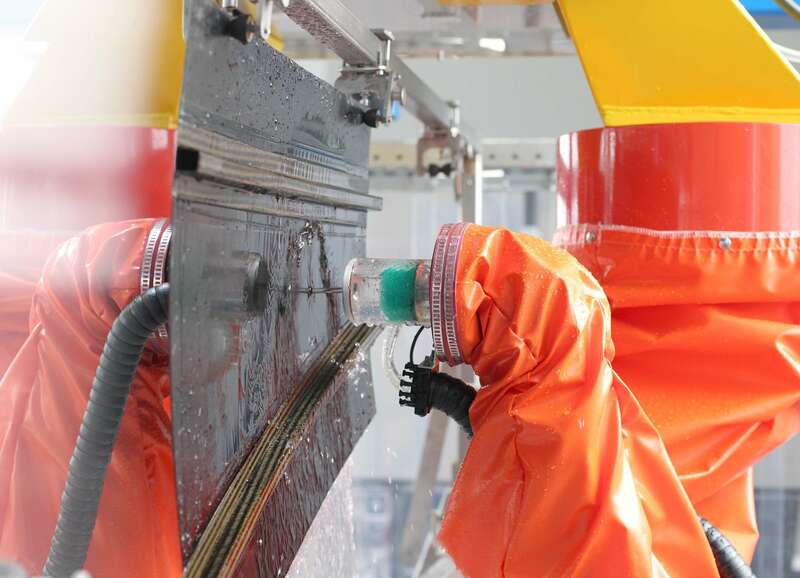 Squirters mounted on dual robot UT system through transmission inspection with profile following on complex composite structures. (Profile Patent). 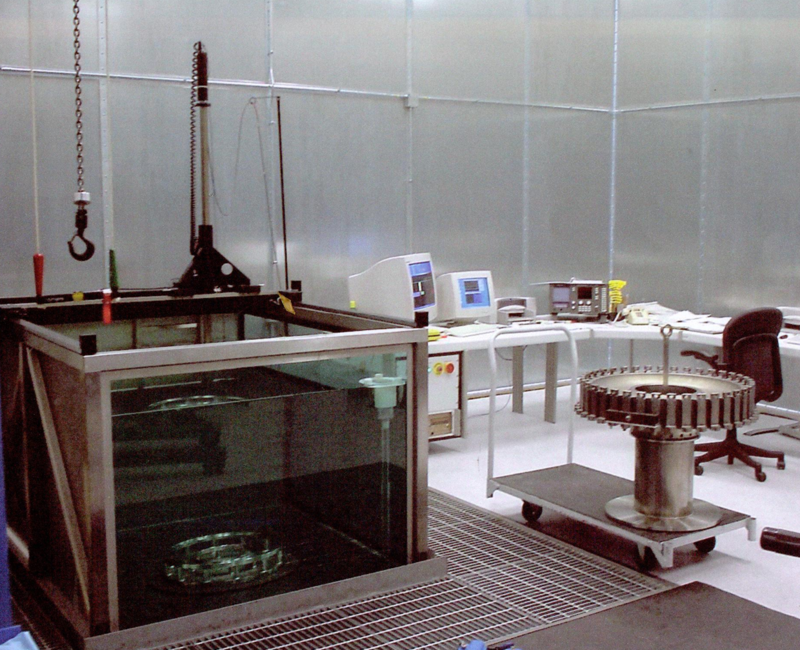 UT inspection of engine spool according to GE approval with our USPC.